Enjoy the last weekend of the summer holidays with a bike ride! The summer holidays are coming to an end, why not spend the last Sunday of the summer on a bike ride in Croydon? Sky Ride Local rides is the perfect opportunity for the whole family to get together and take part in a fun community bike ride to explore the local area. All rides are led by British Cycling trained Ride Leaders, who are on hand to offer encouragement and support. Rides are available at a number of different levels that cater all ages and abilities. 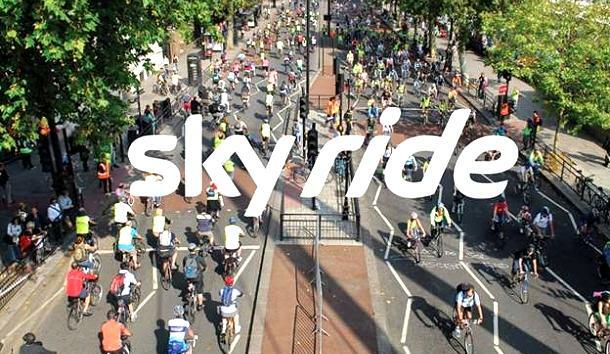 This Sunday there are two fantastic Sky Ride Local rides taking place in Croydon. Estimated to take three hours this 19 mile ride is perfect if you want to get to know Croydon better and see it from the view of the saddle. Using four of Croydon’s well equipped Leisure Centres as corner stones, the ride takes you on a great tour around the borough of Croydon and is a brilliant opportunity to get out and stretch your legs on a Sunday and pretend you’re Bradley Wiggins. Estimated to take one hour and 40 mins, this leisurely 6 mile ride is a chance to explore Croydon and its suburban areas. It’s also an opportunity to see the fantastic scenery around Lloyd Park and Shirley Windmill. ← A Family on Tour, a Cycling Tour. I prefer slower rides. This ride will have to be at time warp speed if I am to make on the 2nd of September! This item on our club web site did however put the Anerley Bicycle Club at 10th spot on the Google listings for Croydon cycling clubs. A Sky high acheivment!